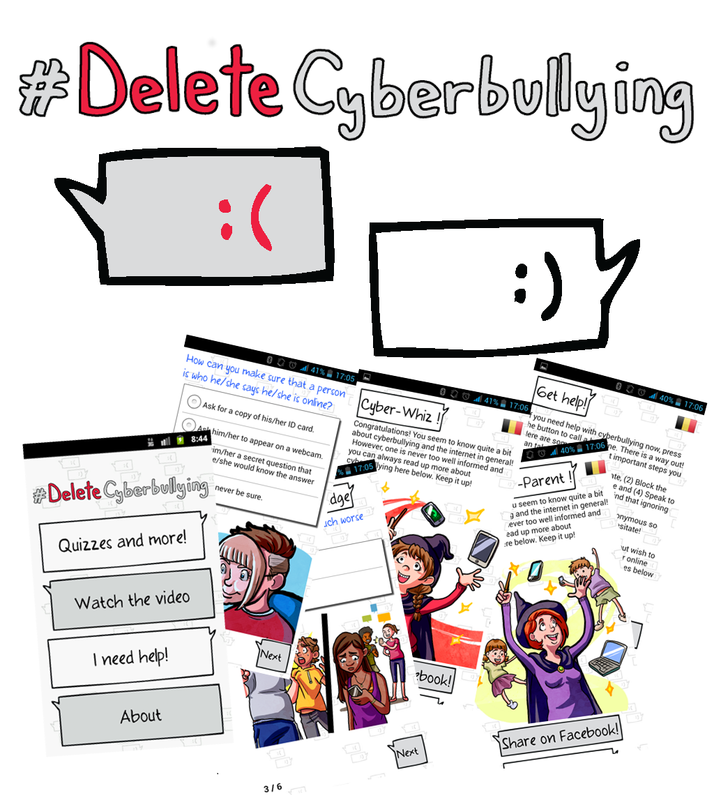 The #DeleteCyberbullying app is an interactive quiz for teenagers, parents and teachers that displays customized feedback based on the responses to the quiz. The aim is to redirect the user to the most relevant information sources, material or even to be able to call for help if the user is experiencing cyberbullying. – An integrated awareness raising video about cyberbullying. – A “one touch” button for help for direct assistance. – Information about the project and a “What’s New” section. The app covers the following countries: Belgium, France, United Kingdom, Ireland, Netherlands, Finland, Denmark, Greece, Bulgaria, Spain, Croatia, Germany, Sweden, Hungary, Italy and Iceland. The app is available in the following languages: English, French, German, Spanish, Finnish, Hungarian, Bulgarian, Dutch, Croatian, Greek, Swedish, Danish, Italian and Icelandic. A manual for teachers is also available including a set of activities or lessons on specific issues related to cyberbullying. They can either be directly related to cyberbullying (definition of cyberbullying, how to react…) or indirectly (privacy protection, digital skills…). The activities or lessons are modular and can be used independently in order to shape the overall lesson in class according to the interests, comments and questions from students. familiarity daily by reading thes good content.